35-foot tall steel Osage Monument at the Cuba Visitor’s Center celebrates the history and legacy of the Osage Nation. 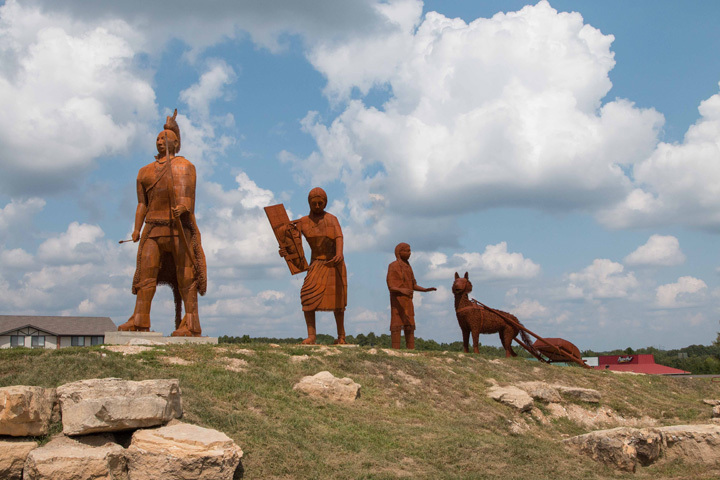 It all started with a dream and soon turned into plans for construction of a 35-foot tall steel sculpture at the Cuba Visitor’s Center that celebrates the history and legacy of the Osage Nation. The project, which will be overseen by Cuba artist Glen Tutterrow, is now completed. 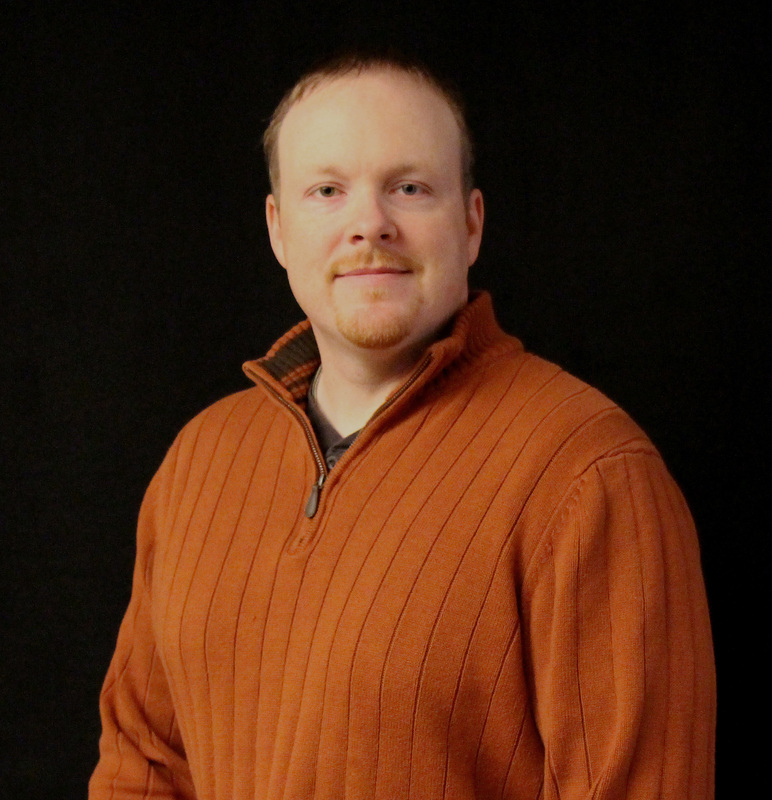 “I had a dream of building something for the Osage Trail. 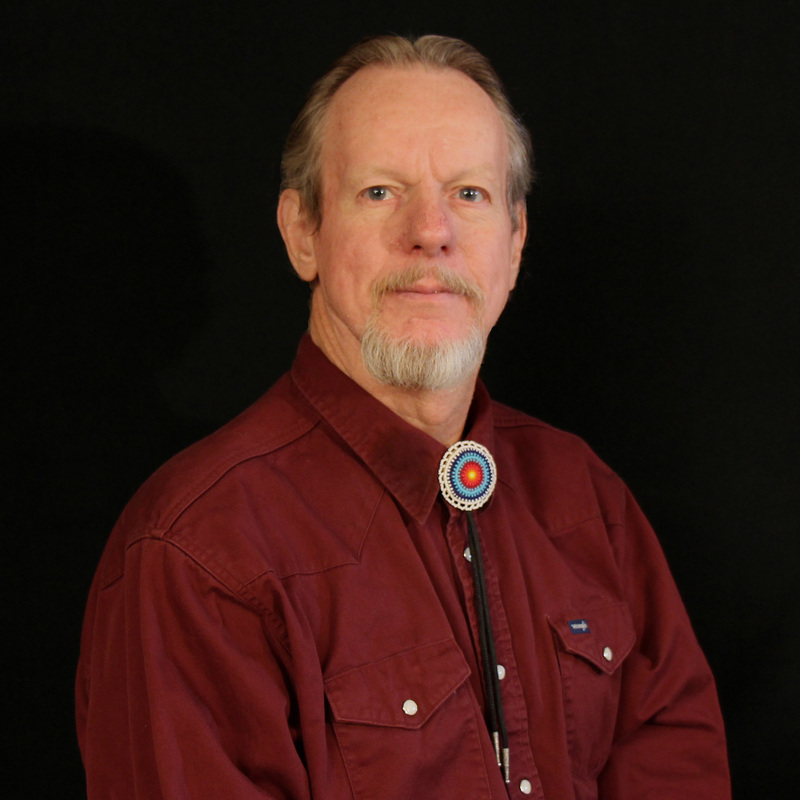 We are here because of the trail that the Osage blazed for us way back when and I have always been very sensitive to the Native American culture”. 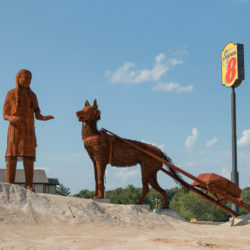 The sculpture depicts an Osage Indian family traveling westward along the Osage Trail. It features an Osage warrior in period-speciﬁc dress and historically accurate ornamentation, followed on the trail by his family. 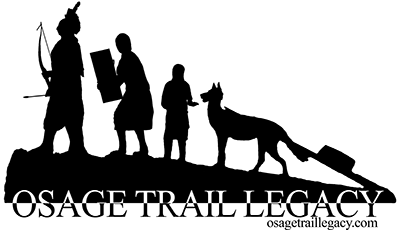 The Osage Tribe of Native Americans covered a wide range of territory in the American Midwest. 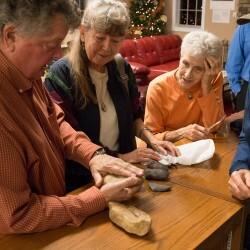 Their hunting and warring expeditions spanned the entire Ozark Plateau region and included what would become the states of Kansas, Missouri, Oklahoma, and Arkansas. 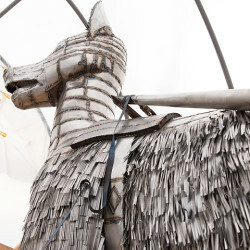 The sculpture stands 35 feet tall, 20 feet wide, and 80 feet in length. 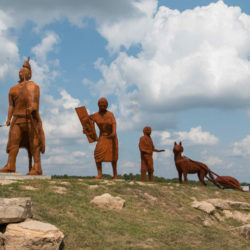 The sculpture depicts an Osage family moving westward on the Osage Trail. The monument is designed to work with the contours of the site which includes working water features and native plant landscaping. 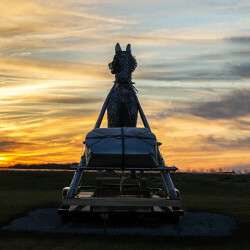 The monument allows interstate drivers to see the sculpture from the city limit boundaries, both east and west. 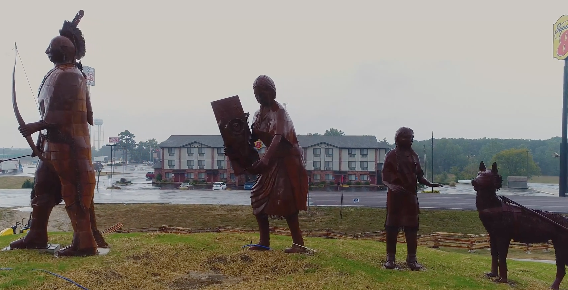 This is one of the largest sculptures ever dedicated, & erected, to the Osage Nation. 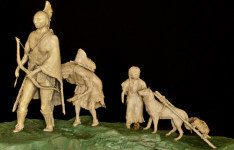 The sculpture depicts an Osage family traveling westward along the Osage Trail. This is the only known monument to the Osage Nation in the state of Missouri. 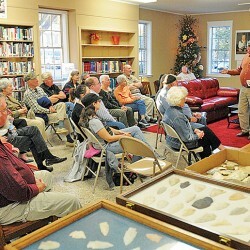 “I had a dream of building something for the Osage Trail." 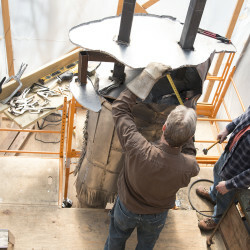 Glen Tutterrow and his son Curtis are heading up the sculpture design and construction. The Osage Trail is one of the most important trails to the south that goes across our state.